A selection of some of the trees being worked on. ......my favourite tool for collecting is a shotgun!!!!! Now who would want to buy this?........even on special offer. Ian practising his chokkan (by 'intuition') style trimming technique!! ian tops up on energy needs, its tiring work cleaning off moss. This months ToTM belongs to Bill and is this intriguing Hinoki Cypress, AKA as a Temple Tree. 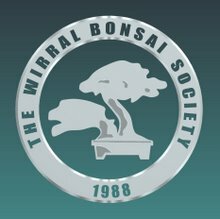 This months site belongs to the European Bonsai Association, a non-profit making group set up with the primary aim promoting bonsai art and culture, stimulating its members and teaching them all aspects of the art and science of bonsai.